The Maharaja Sayajirao University of Baroda will work along with TCS and provide students training in personality development, spoken English, interview giving skills, soft skills and IT. Tata Consultancy Services (TCS) and The Maharaja Sayajirao University will enter into an agreement next week to help students from poor socio-economic background become more employable. Both the faculty and TCS would be targeting the students from reserved category, minority communities and those whose family’s income is less than INR 2 lakh per annum. The faculty is targeting to train a minimum of 1,000 students who will be trained over a period of different time in different batches. Dean of Faculty of Commerce, Professor Dinkar Nayak shared, “The training will be provided to third-year B.Com students so that when they graduate from our faculty, they are job-ready.” He further revealed that the training will be provided free of charge at the university and based on the performance of candidates during the training period, TCS may also hire some as per vacancies available with them. Skilling being one of the major areas of concern not only for the companies but for the entire nation has been getting a lot of attention in the recent past. With companies struggling to find the employable workforce, businesses have taken upon themselves to contribute to the nations training and development agenda and are getting into agreements with the government and authorities to create more jobs. For instance, recently, in July, Bengaluru based cab aggregator Ola signed a memorandum of understanding (MoU) with the department of employment of Haryana government to create 35,000 entrepreneurial opportunities in the state. In May 2018, TCS also entered into an agreement with NSDC to enhance NSDC’s skill development and capacity building initiatives such as National Occupation Standards (NOS), Qualification Packs and Curriculum. Helping the country deal with its skilling challenge also indirectly forms an important part of the corporate social strategy of businesses. Based on data from Prime Database, a total of 1,019 listed Indian companies have spent an amount to the tune of INR. 9,034 crore in FY17 to fund their CSR projects and activities. Nearly 37 percent of these funds were used for education and vocational skill building activities. Further, KPMG’s report, ‘India CSR Reporting Survey’ showed that while education and health care have been in focus for the past three years, organizations have slowly begun diversifying their area and geography of development in the last one year. 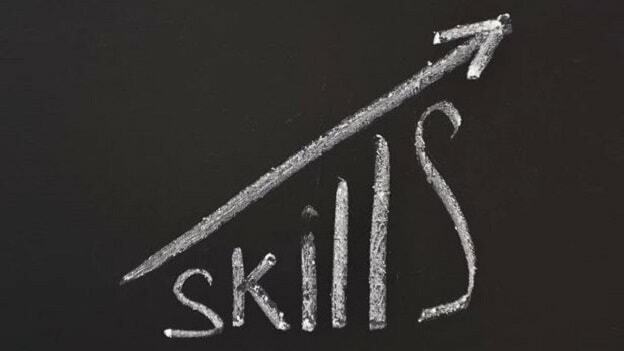 Amidst the rapid disruption and with a population of 1,354,051,854, with more than 50 percent of its population below the age of 25, how will businesses and the government ensure a more skilled and job-ready workforce is something to look forward to.